RAWALPINDI: Chief of Army Staff (COAS) General Qamar Javed Bajwa on Tuesday inaugurated the Army Institute of Military History (AIMH) during a ceremony at the Army Auditorium, GHQ. Former army chief General Ashfaq Parvez Kayani and former ISI chief Lt Gen Ahmad Shuja Pasha were among the senior serving and retired military officers who attended the ceremony. The basic aim to establish the AIMH is to record, archive, preserve and compile Pakistan Army’s history, the Inter-Services Public Relations said in a statement. 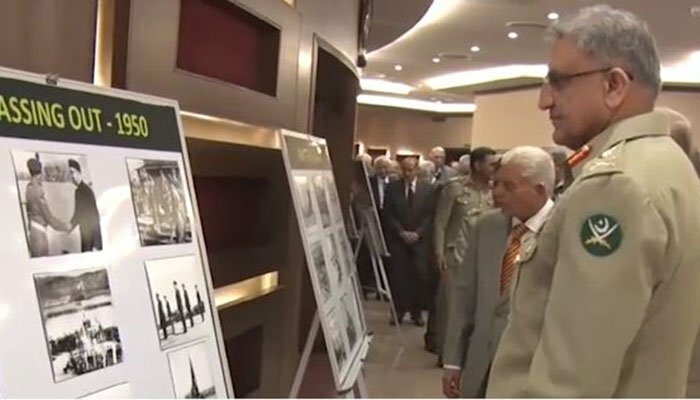 The COAS said that the institute would go a long way in keeping alive the history and heritage of Pakistan Army. The COAS inaugurated the Army Museum in Lahore last year. The basic aim of the Army Museum is to portray the heritage of Pakistan through various sections, titled Rebirth of a Nation, Quaid and Armed Forces, Shuhada Corner, Nishan-e-Haider Gallery, Life at Highest Battlefield Siachin, Kashmir Corner, and Pakistan’s contributions in the United Nations, Nation Building Efforts and White of the Flag. Earlier, in August, Rawalpindi Museum opened its doors to the public as a part of country’s 71st Independence Day celebrations. Special areas are dedicated in the museum to those army officers who fought and lost their lives to terrorism. It has a Kashmir corner, a gallery devoted to the recipients of Nishan-e-Haider, and a Pakistan-India War Story corner.